History: She came from Lok Kawi Wildlife Zoo in June 2007 together with Cerah. Personality: Jelita is well-known as the most acrobatic female at the centre. She can often be found hanging upside-down, legs flailing in the air, with her head arched way back, so she can flash you a big healthy grin. The sunny patch on her chest delicately curves up at the corner in two streaks, as if to resemble two friendly fingers folded into a peace-sign. She has beautiful eyes. Jelita’s playful energy is certainly filled with loving affection and curiosity. In the forest, she will take the lead in the group where Cerah will follow Jelita roaming, foraging, climbing canopy trees and building a sleeping nest together. Identifying Mark or trait: Jelita’s chest mark splits like a wishbone on her right side. 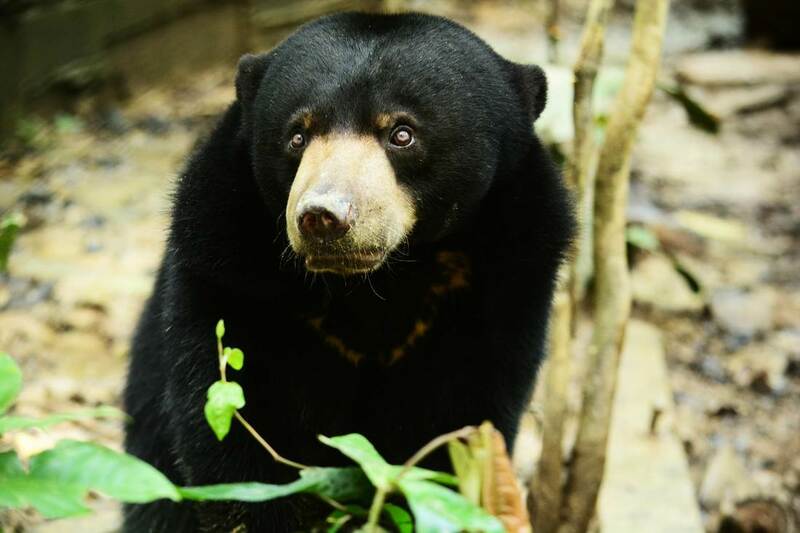 ADOPTION: Tradewinds Plantation Berhad is adopting Jelita under the My Bear Adoption Programme.